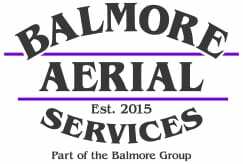 At Balmore Aerial Services, we proudly provide the very best in aerial drone inspection and survey services for our customers across Scotland and the North of England. Here you can find links to some of our suppliers, customers and related Commercial Partners. We use a Ford Ranger Pick Up as it offers us the perfect transport vehicle for our drones. The flat bed of the pick up truck provides an ideal take off and landing bay for our aerial drones when we are out on the field.